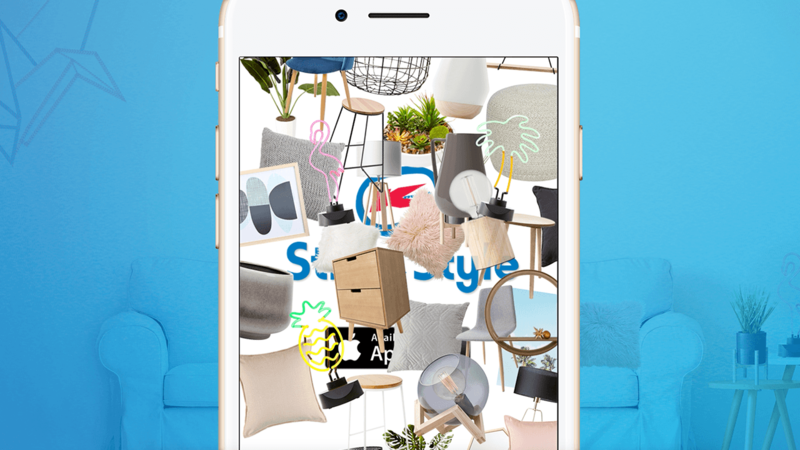 Stick & Style is the first of its kind for iOS sticker packs allowing customers to browse KMART’s popular range and see how items look in their home using iMessenger’s built-in functionality. In less than 24h it went number one on the Sticker App Store and with 34,000 downloads smashed its yearly KPI’s by 400% with only 3k media budget. The launch of each Kmart Living range is an highly anticipated event. We were tasked with building awareness of Kmart’s home style credentials and low prices to prompt a home refresh with Kmart’s new August Living range. Increase YOY sales by 10%, get customers shopping a ‘look’ and not just individual products, to increase basket size; and establish Kmart as the number one store for on-trend home products at low prices. Currently, the only way to see the full collection is the catalogues. But of the millions of Kmart catalogues that are distributed each month only 13% are read. Stick & Style is aimed at image conscious Australians that don’t normally look to Kmart for inspiration. They want their homes to look unique, not have the same items as everyone else, and can sometimes be skeptical of low price products. When you’re refreshing a room you want the new items to work with your current ones. We decided to use a platform that already exist in the hands and pockets of millions of people (iPhones), and leverage a well spread existing behaviour (asking friends and family’s opinion about shopping choices). Kmart Stick & Style is more than just pictures that people can share with each other; it’s a brand new type of catalogue that’s never been done before, so our engaged audience didn’t even realise it was a catalogue.